Robinson Crusoe had no ice cream machine, and this time of the year, the same goes for me. But there is hope – still-frozen ice cream! 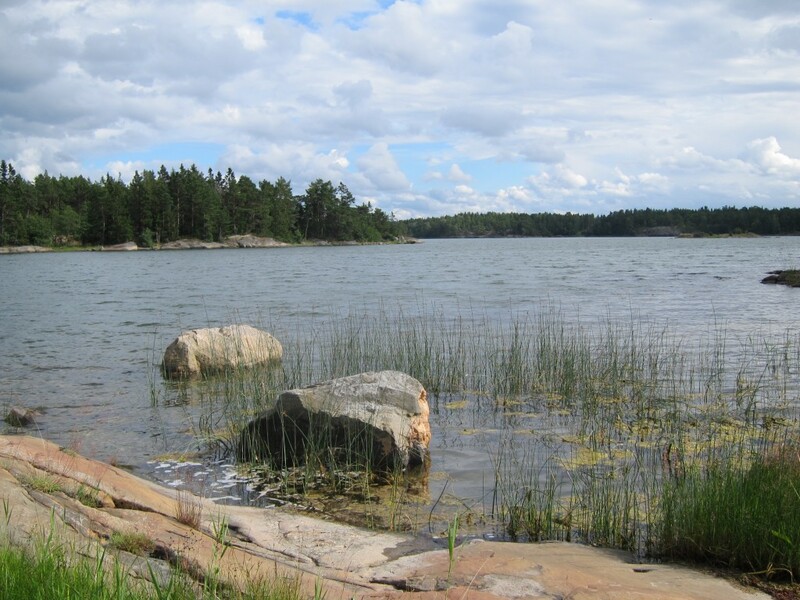 Our summer island is clearly less tropical than Robinson’s, being situated in the cold waters of the Swedish archipelago. The forests here are ripe with delicious blueberries and even some exquisite wild strawberries, and occasionally, sea eagles ply the skies above. It is all very idyllic – but summer idylls also require ice cream! In other words, time again to hone the noble art of still-freezing (i e making ice cream without the help of other machines than an ordinary freezer). 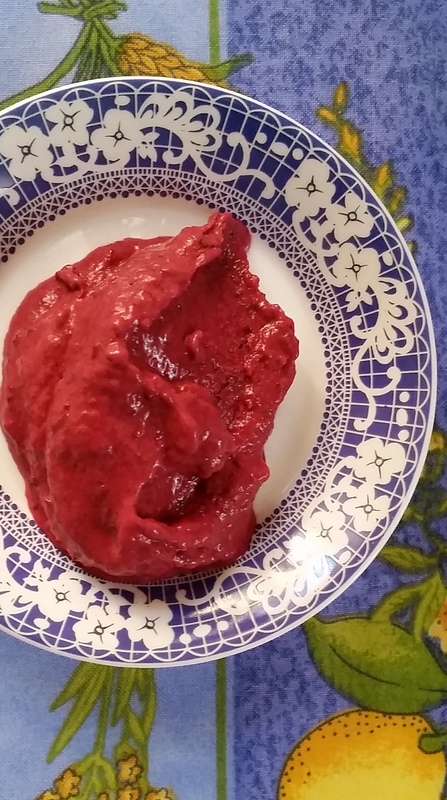 So let’s see how my favourite berry yoghurt ice cream recipe can be tweaked for still-freezing! The refreshing sea water (19°C/66.2°F) puts the ol’ Viking genes to the test. But once the initial cold chock sparks off an internal polar bear chemical cocktail of dopamine, serotonin and endorphins, it feels quite invigorating. But before we start – don’t forget the ice pops! Ice pops are perfect for freezer-only conditions: they are easy to make and can be varied in innumerable ways. Ice pops freezing too hard is not even a problem – after all, ‘frozen solid’ is the preferred state for ice pops! 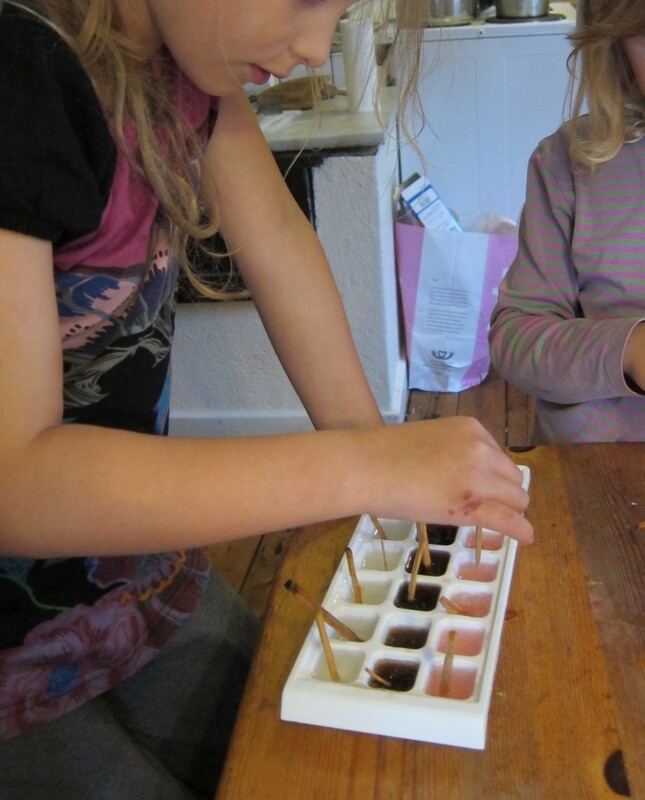 And if you forgot to pack ice pop moulds, just see if you can find any ice cube trays. Last summer, I experimented with both cream and inverted sugar to improve the consistency of still-frozen ice cream. As avid readers may remember, the first results turned out so-so. On their own, these two ingredients did not really cut it all the way. But what if they were combined? Or the quantities altered? 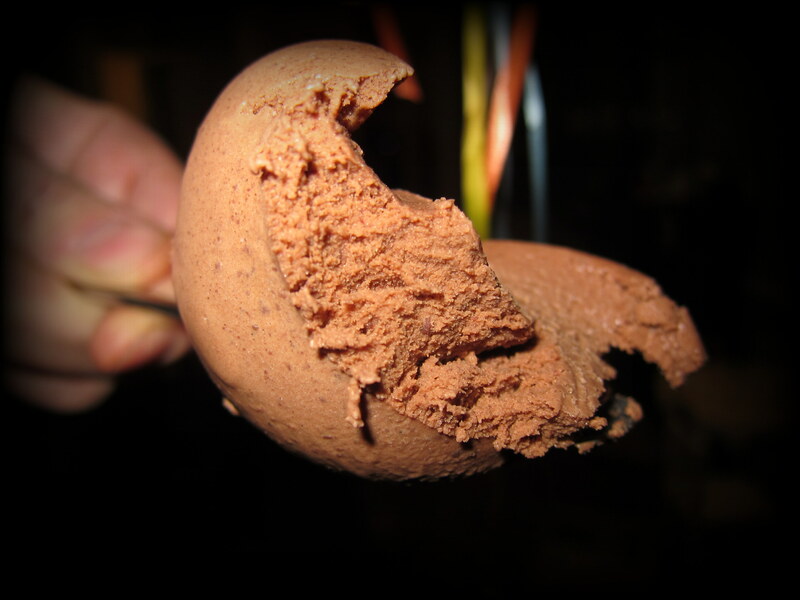 While starch-based ice creams produce excellent still-frozen results, I was keen to see if a faster, Philadelphia-style ice cream requiring no cooking on the stove could be made. 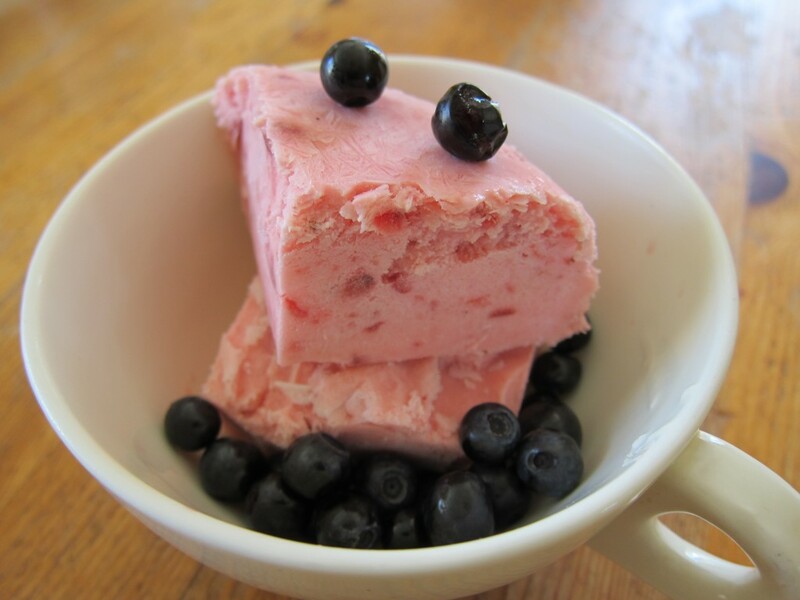 And this summer, I found a strikingly powerful tweak for one of my favourite recipes – the berry yoghurt ice cream. The proportions of this recipe are different from the one tested last summer, with this one requiring equal parts of cream and of yoghurt. And the simple tweak? Just whip the cream! 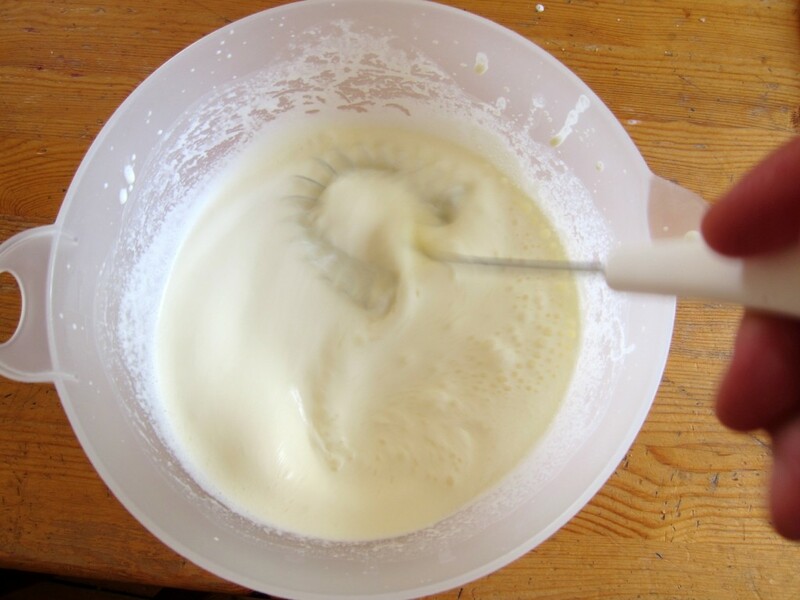 Whipping the cream brings several advantages for still-frozen ice cream. First of all, the overall volume is increased, thus giving you more ice cream to enjoy in the end. But more importantly, the whipped cream binds more air to the ice cream. 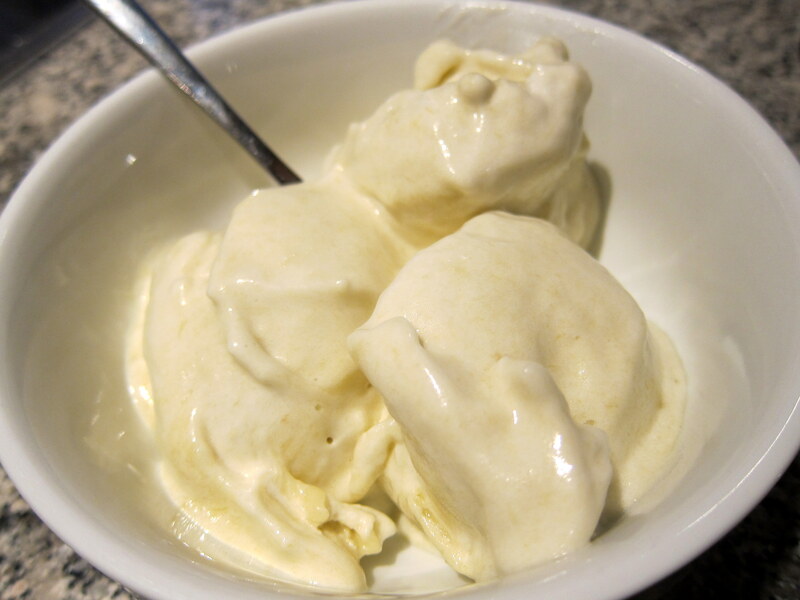 This added air makes the ice cream freeze less solid, which improves the consistency. And while the creamy flavour aspect of the ice cream is more pronounced than in the original recipe (made with ice cream machine, that is), the high proportion of yoghurt still manages to separate the outcome from European style creamy parfaits. If you, however, still consider that your ice cream comes across as too ‘creamy’ for your taste, just add some more yoghurt during the freezing phase. As usual, still-frozen ice cream needs to be churned by hand at least about 3-4 times during the first few hours in the freezer. As avid readers probably know by now, the reason is that this manual churning breaks down ice crystals that otherwise would grow too big (causing the ice cream to be too “icy”, in a negative way). Plus that the manual churning aids in freezing the ice cream evenly. And you do not need any fancy tools – I normally do my hand-churning with a simple fork. As you can see below, I replace some of the original recipe’s sugar with honey – nature’s own inverted sugar. The amount I used does not affect the overall flavour that much. While you still might notice it (particularly if you know that it is there), the main reason to add honey is really to reap some of the consistency-improving benefits of inverted sugar. While some people are all for very sweet ice creams, I prefer when the overall sweetness is somewhat mitigated. Citrus fruits are perfect for the job. Striving to avoid any further liquids (which eventually would turn into nasty ice crystals …), I chose to add grated lemon zest to the ice cream. But if you still find that the overall flavour would improve with an even more pronounced lemon flavour, do add some of the lemon juice too! The tweaked version of the Berry yoghurt ice cream met with general acclaim when tested by the extended family by the end of a delightful outdoor crayfish dinner. Most of the battle-hardened tasters had already tried the still-frozen original recipe (without tweaks) before, and considered the tweaked version superior! Clearly, whipping the cream really makes a huge positive difference for the consistency. And once again, we were reminded about how very nice ice cream can be, even when made without any ice cream machine! Summer and ice cream go so well together, and I have already made a new batch – get hold of your favourite berries and give it a try too! Mash the berries, mix them with the sugar and the honey. Whip the cream lightly. Then blend the whipped cream with the yoghurt and the mashed, macerated berries. Add the lemon zest (and some lemon juice, if the overall taste still comes across as being too sweet). Pour in freezer-safe container, put on the lid and place in the freezer. Every 45 minutes for about 3-4 hours, take out the ice cream from the freezer and churn vigorously with a fork or similar: the objective is to break down the ice crystals and ensure that the ice cream freezes evenly. 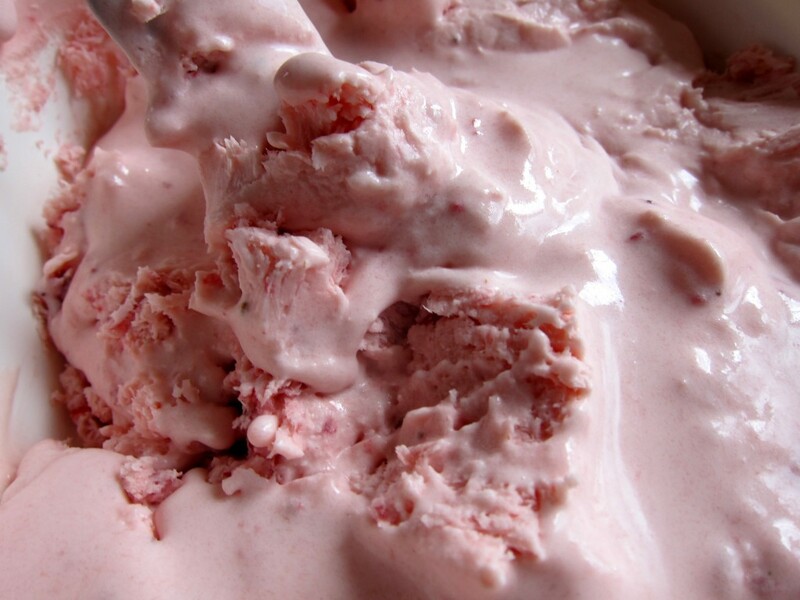 Before serving, let the ice cream thaw outside the freezer for about 15-20 minutes.